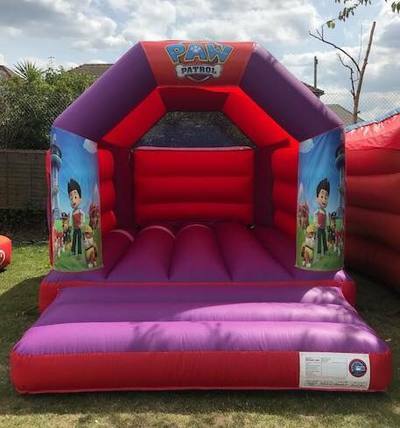 Our brand new 'PAW PATROL Themed' Bouncy Castle with our own bespoke design in vibrant red and purple colours and decorated with PAW PATROL Themed characters, is a popular choice with both boys and girls. Ideal for any event, party or celebration. Comes with a built-in raincover. Brand new ‘MINION' themed BOUNCY CASTLE Our newest inflatable has just arrived. 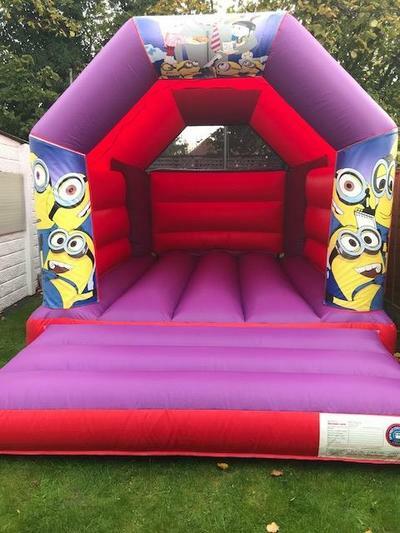 Our brand new 'Minion Themed' Bouncy Castle with our own bespoke design in vibrant red and purple colours and decorated with Minion Themed characters, is a popular choice with both boys and girls. Ideal for any event, party or celebration. Comes with a built-in raincover. 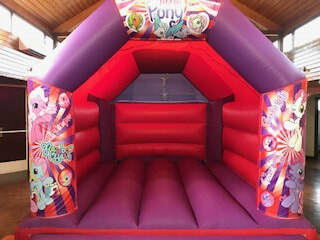 ​Brand new Velcro ‘MY LITTLE PONY' themed BOUNCY CASTLE Our newest inflatable has just arrived. Our brand new Velcro 'My Little Pony Themed' Bouncy Castle with our own bespoke design in vibrant red and purple colours and decorated with My Little Pony Themed characters, Ideal for any event, party or celebration. Comes with a built-in raincover. 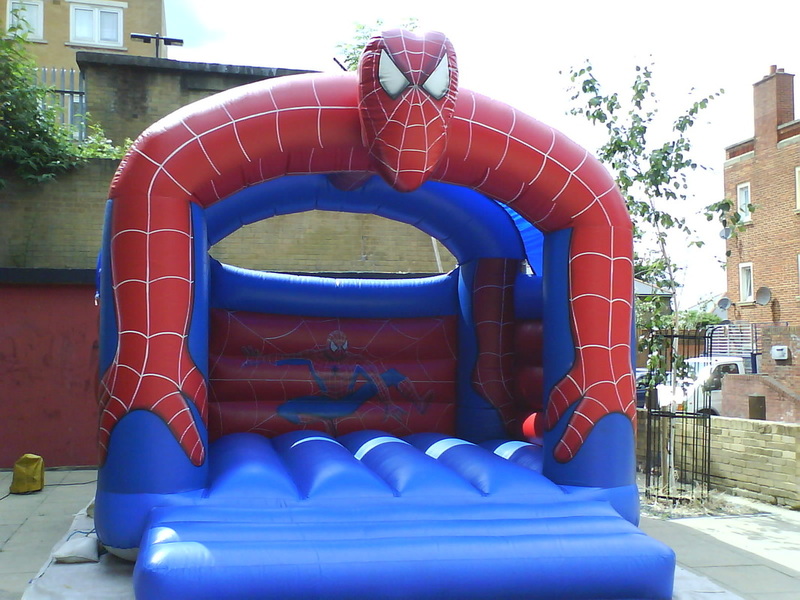 ​Brand new Velcro ‘PEPPA' themed BOUNCY CASTLE Our newest inflatable has just arrived. Our brand new Velcro 'Peppa Themed' Bouncy Castle with our own bespoke design in vibrant red and purple colours and decorated with PEPPA and GEORGE Themed characters, is Ideal for any event, party or celebration. Comes with built in raincover. Our very own #NERF Battle Zone Shootout, that will provide hours of fun. The aim of the game is to shoot the 'hovering balls' to collect the highest score. This game comes complete with Nerf Guns, Bullets and protective googles. This Nerf Game is suitable for all ages of children and adults. Can be hired individually or as a package. Fantastic Fun for all events including Birthday Parties, Fundays, School Events and Team Building/Corporate Events. colour changing disco dome light, to the upper part of the dome. To provide maximum effect, the disco dome lights are on auto programs or change to the music. As well as the disco dome lights, there is a speaker to play your favorite tunes, the speaker is hidden away in a safe place at the rear of the Dome. You simply listen to your favorite songs by linking your mobile phone or ipod to the Domes Bluetooth sound system. *All you need to do is provide the music through any device that has a 3.5mm headphone slot.This slot is standard on most devices including: iPhone/iPad//laptop/other smart phones. *Please measure the area prior to hire, and before booking. You will need to allow an extra 2ft width both sides of unit, 2ft at the back and 4ft at front for additional equipment. If using inside halls, to avoid disappointment, please measure height to ensure the inflatable fits.. 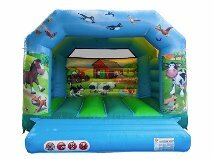 This Bouncy Castle has vibrant blue and green colours, featuring a host of FARMYARD FAVORITES including the Friendly Farmer, Happy Horses, Cheerful Cows, Porky Pigs, Shaggy Sheep and some Delightful Ducks. Ideal for both boys and girls parties, events or celebration. Comes with built-in raincover. 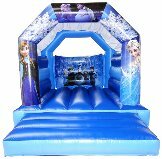 This Bouncy Castle has vibrant blue colours and decorated with Frozen characters, including Elsa, Anna, Olaf, Kristoff, Hans and Sven. Ideal for any party, event or celebration. Comes with built-in raincover (can be used in halls). This Bouncy Castle has vibrant red and blue colours and decorated with Spiderman characters. Ideal for any event, party or celebration. Comes with a buit-in raincover. This Bouncy Castle has vibrant red and white colours and decorated with Dalmatian characters, is a popular choice with both boys and girls. Ideal for any event, party or celebration. Comes with a detachable raincover. 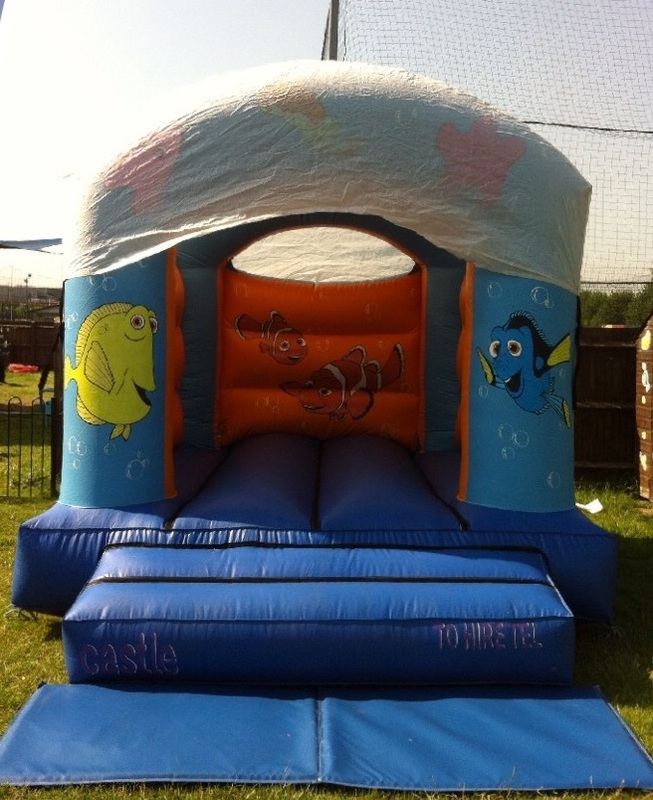 This Bouncy Castle has vibrant blue and orange colours and decorated with characters including; Dory & Nemo, Marlin, Peach, Crush. 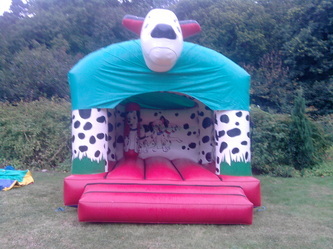 Ideal for both boys and girls parties, events or celebration. Comes with a detachable raincover. Size : 10ft (wide) x 12ft (length) x 10ft (Height).